Fabien Lavergne and Laurents Hörr, the Norma LMP3 CD Sport drivers have lost the victory in Portimao in the most amazing way. Though it had started at the 25th and last place, the #30 has gone up incredibly and was about to lead at 21 minutes before the end when a stop-and-go penalty was given… because of a mistake made by someone who is not member of the team! The French-German driver pairing of the squad from Perigord still managed to reach the 5th place of the Michelin Le Mans Cup last round, which is a gorgeous result, given the circumstances. All the satisfaction provided by the pole position reached by Fabien Lavergne turned into disappointment when all times of the #30 were cancelled. “There must be 50mm between the flat bottom and the splitter when we were at 47, the team-manager Claude Degrémont explains. “It is difficult to say with certainty what caused that gap. However, there was no willingness to cheat and these 3 millimeters have not brought on any stopwatch benefit.” Is it possible to win a two-hour race when you start at the 25th place? What happened next proved it. After night rainfalls, the sun came back for the start of the race along with rather low track temperatures and a strong wind. There were still puddles and everybody expected hard times to warm up the Michelin slick tyres. In spite of two training laps, some drivers got caught in the first few minutes of the race. That was not the case for Fabien Lavergne who started to recover quickly. In barely over a lap, he was already in 16th place. 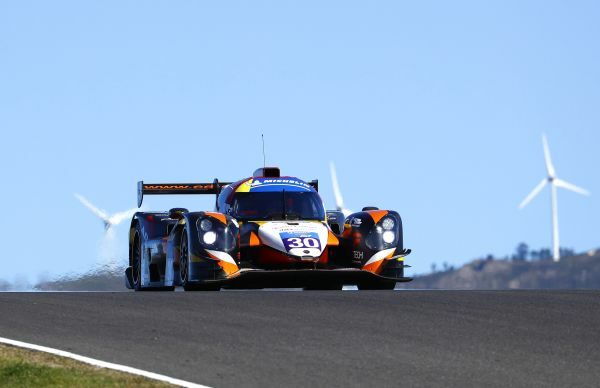 A neutralization to remove some debris slowed him down but after fifteen minutes, he was up to P12 then P8 at the 30-minute mark… Few minutes later, he performed an impressive move by overtaking at once the three LMP3 prototypes battling for 5th place! Twenty places gained is great but the man from Toulouse found himself standing then 26 seconds from 4th place. Overtaking on and on takes time. After 58 minutes of driving, Laurents Hörr took over from Fabien. The German reached 4th position when a challenger went into a spin. He pushed hard enough to erase a 35-second gap, climbing up to 3rd and in the aftermath a new pass at turn 6 kicked him to 2nd place! The race leader looked like an easy prey as his lead was down to 3 seconds with 21 minutes to go. But Laurents was then called in the pitlane for a stop-and-go. "In the Michelin Le Mans Cup, there is a minimum pitstop time for driver plus tyre change and refueling so it is needless to hurry”, the CD Sport co-manager Laurent Cazenave describes. “The rules also mention that the car shall be parallel to the pit garage and on its wheels for refueling. Lastly, Michelin Le Mans Cup teams are not allowed to fill themselves the tank. We have to pay one of the European Le Mans Series teams to benefit from their equipment and staff because they have a pit garage allocated for the weekend and compete in longer races. 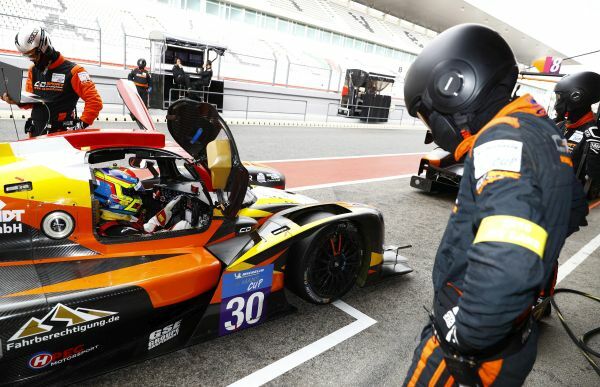 "In ELMS, unlike us, they are authorized to refuel when the car is on jacks. We collaborated with the IDEC Sport team during the first meetings and everything was smooth. But in Portimao they were running only one car instead of two. So, the job was assigned to another team whose refueller had never participated in our championship. Laurents’ final attempt brought him from the 8th up to the 5th place under the flag. “I could not run enough in free practice because of the rain and the red flag and I never really felt comfortable in the car. Fabien Lavergne, who has driven the beginning of the race, also testifies: “I could not either drive a lot, no more than 7 or 8 laps on dry track. Tyres were hard to warm up in qualy but I took enough confidence to attack on the last lap. And Laurent Cazenave completes: “let’s commend and thank our drivers for their trust, Laurents Hörr and the three French bronze-rated Anthony Pons, Fabien Lavergne and Eric Debard, who accompanied him along the races. We could always count on a great line-up. For a first season, we can also appreciate our level of performance and reliability: no mechanical issue to report. 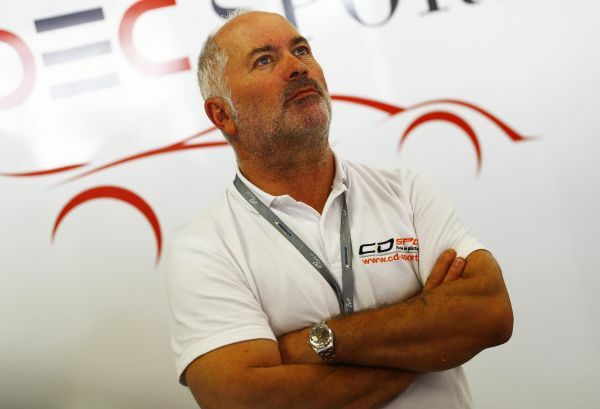 CD Sport has stayed in Portugal to compete the final round of the V de V series in Estoril this Sunday 4th November with Jacques Wolff, Vincent Beltoise and Nicolas Mélin. 2012: V de V Endurance Prototype Challenge Champions. 2013: V de V Endurance Prototype Challenge, 4th. 2014: V de V Endurance Prototype Challenge, 3th. 2015: V de V Endurance Prototype Challenge Champions. 2016: V de V Endurance Prototype Challenge, 3th. 2017: French FFSA GT Drivers Champions. 2018: LMP3 debut, Michelin Le Mans Cup, 6th.